On Aug. 11, the suspect broke into a locked vehicle in front of Dorn’s Original Breakers Cafe and stole a person’s wallet, according to the Morro Bay Police Department. 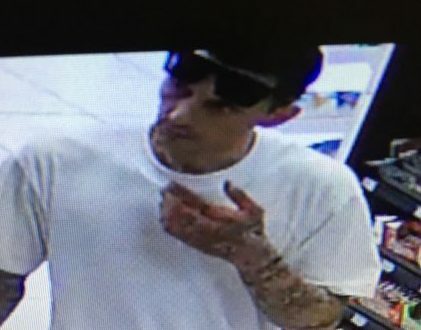 The thief then used the stolen credit cards at several locations in Morro Bay and Atascadero, police say. 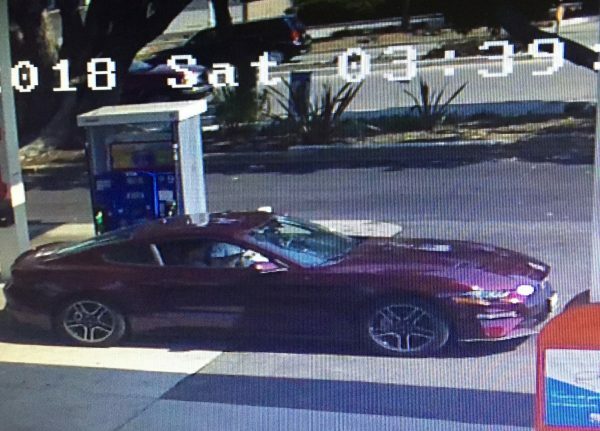 Police obtained surveillance footage of the man driving a maroon or purple Ford Mustang. Authorities are circulating images of the suspect and his car. Anyone who has information about the suspect is asked to call Detective Stuart at (805) 772-6225. Why would he even go there? The food and service are not so good. You’re crazy, great food and service! Those Pecan nut pancakes can’t be beat! Nice car, I wonder if he charged it?